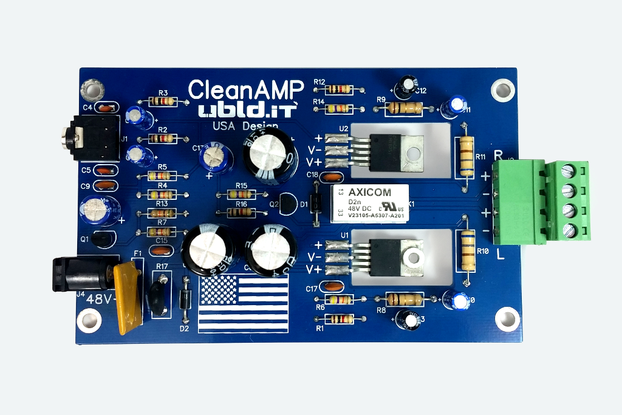 This is a hybrid amplifier with a class A tube input stage, and solid state class AB push-pull output stage producing approximately 8 watts of RMS power (13 watt peak). 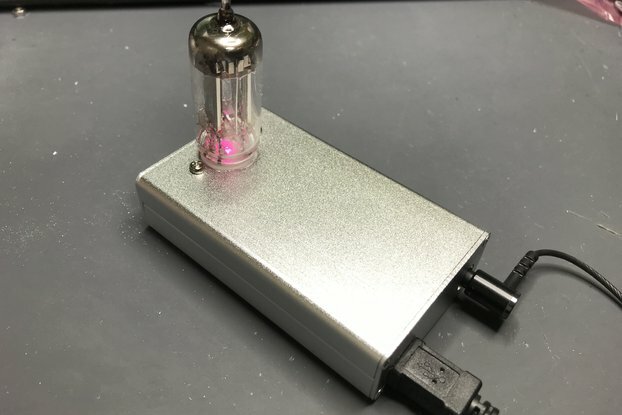 A vacuum tube input stage gives your music a nice warm sound while the solid state output stage provides low-distortion power giving you the best of both retro and modern worlds. The case has a stylish industrial look made of acrylic and cabinet grade Baltic birch plywood and by default is setup with a nice blue LED glow. 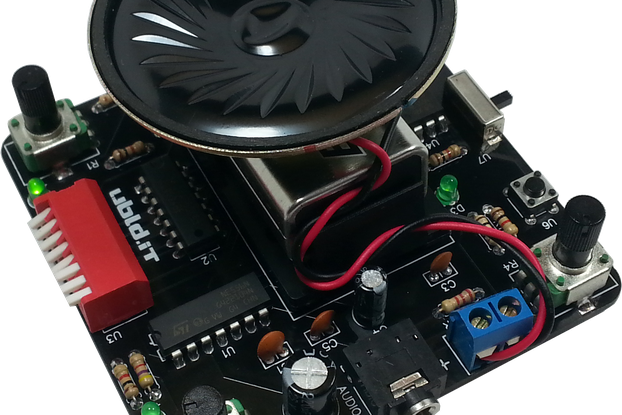 The amplifier is recommended for a high quality ambient music experience. 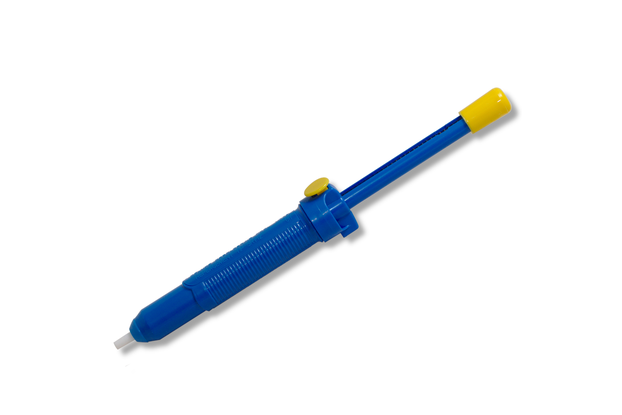 This product is sold as a kit and is modifiable. The base is unfinished and may be stained, varnished, oiled, or painted. The tube is lit by 2 blue LED’s but can be changed out during assembly for your preference. 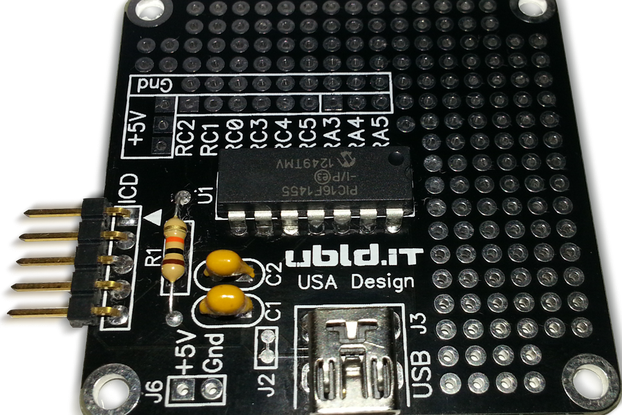 The schematic to the circuit board is provided for your further interest in learning or tinkering. The audio input is a stereo 1/8″ jack common on most iPod’s, cell phones, or Bluetooth adapters. The stereo input channels are mixed into a mono output. The mono output is preferable for ambient music listening since it is not as dependent on listening position as a stereo system. 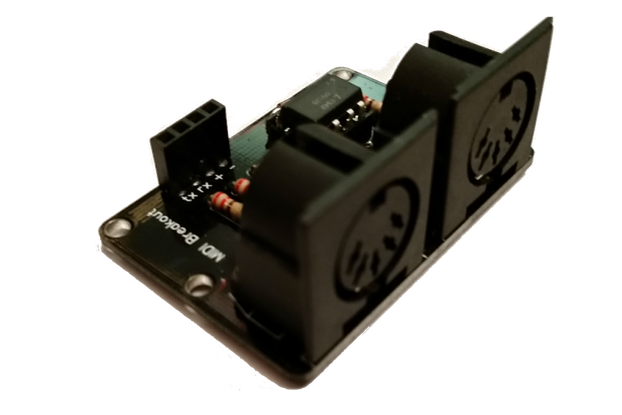 We recommend speaker impedance between 4 and 8 ohms and multiple configurations can be used. We recommend a good quality speaker for a quality music listening experience. Power cord You will still need your own speaker, and audio input source such as a MP3 player. 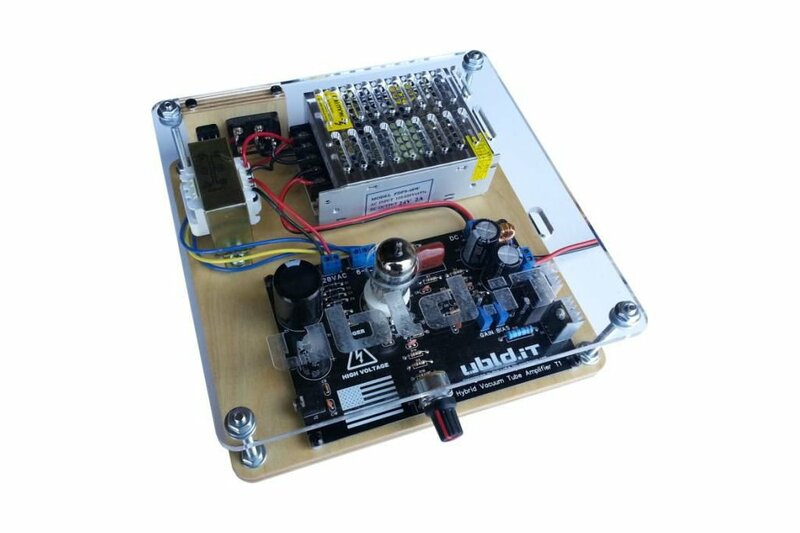 Circuit board assembly portion is done with all through-hole components, with sparse layout for easy assembly and to reduce noise. You will need some basic tools such as a soldering iron, wire cutters, and hand tools. 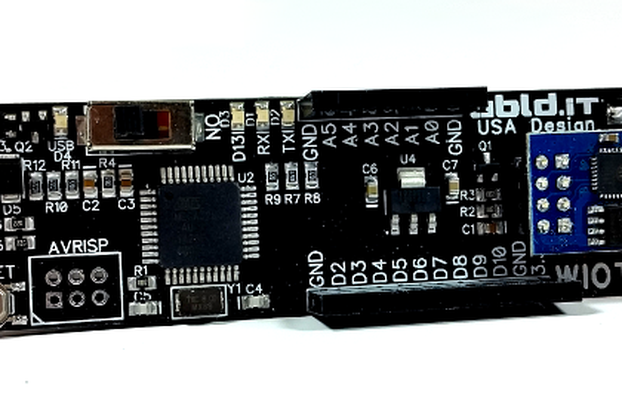 A complete list of recommended tools for assembly can be found in the assembly instruction manual. 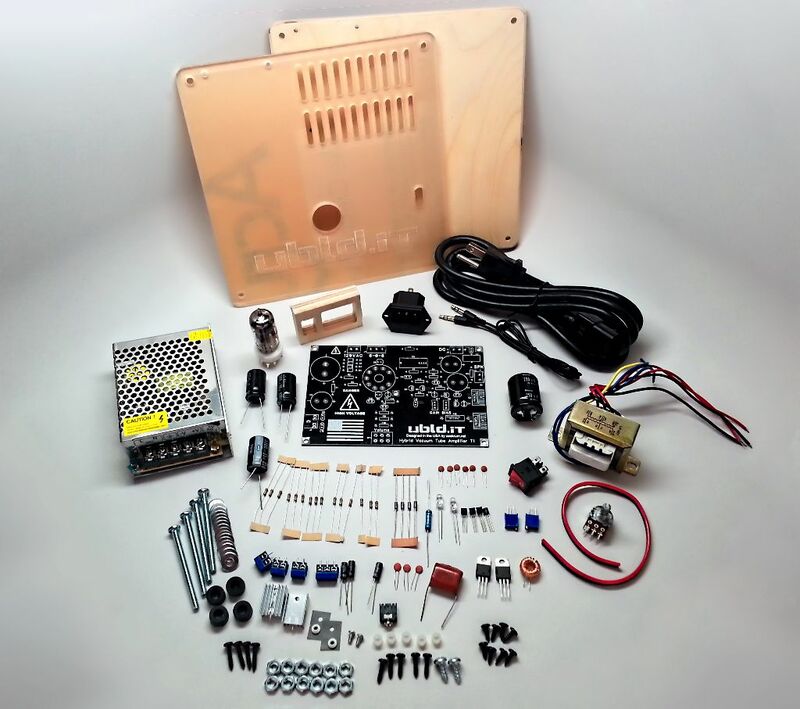 This kit was designed from the ground up, and morphed from spice simulation models to a well-performing audio amplifier. 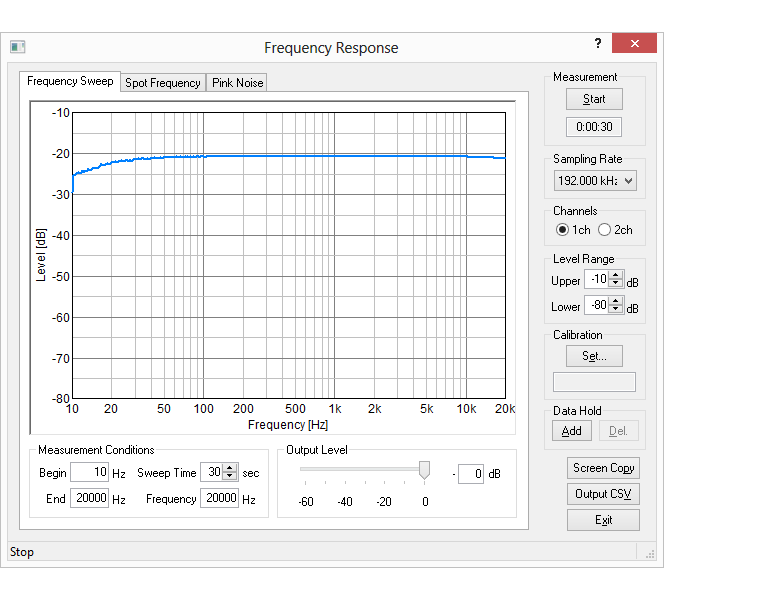 The frequency plot shows a flat response (+/- 2dB) between 20 Hz and 20,000Hz. 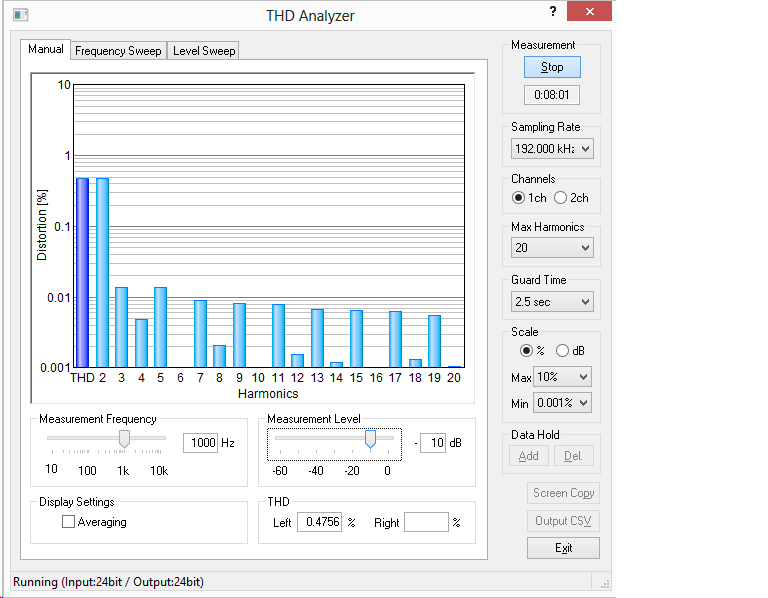 The measured Total Harmonic Distortion analysis shows THD = 0.4756%. Of this, more than 0.470% is in the 2nd harmonic which is generated by the tube. This is the distortion that is believed to give the “warm” tube sound. The noise generated by the solid state section is under 0.02%. 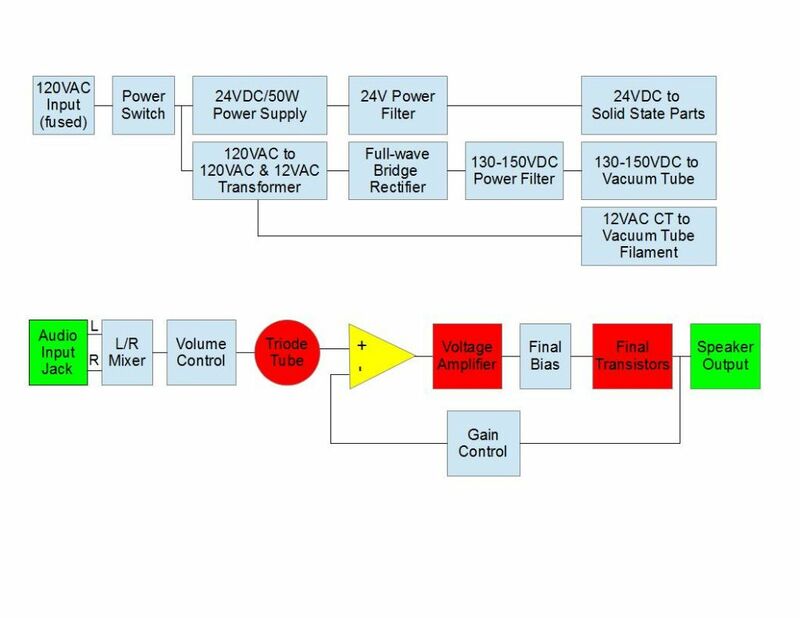 The block diagram provides a high level overview of the Hybrid Vacuum Tube Audio Amplifier kit. 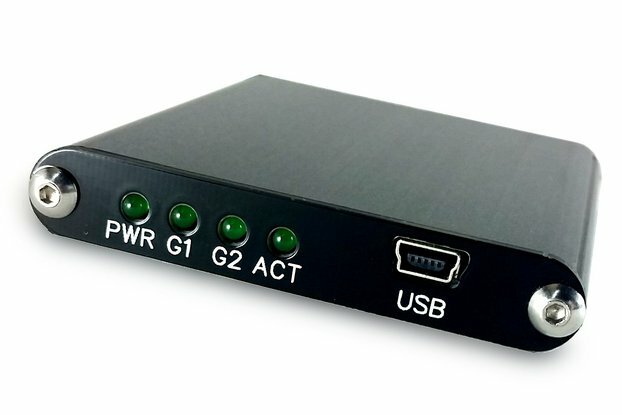 A 120VAC source is converted to the required power outputs with the appropriate filtering to provide quality sound. Stereo Audio is mixed to produce a Mono signal which goes into the tube pre-amplifier and then the solid state amplifier. 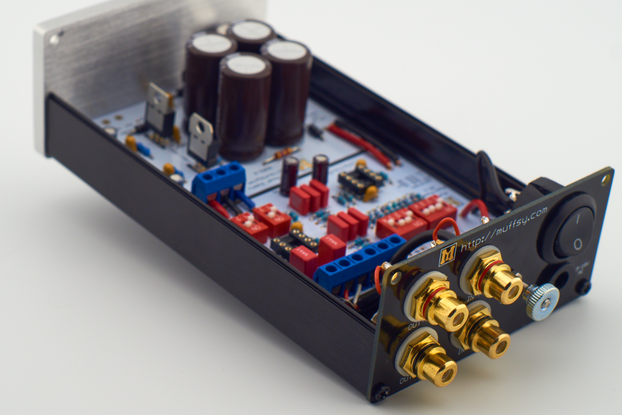 The two different types of amplifiers is what makes this a Hybrid Amplifier.